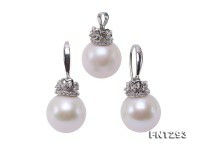 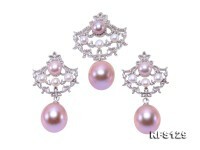 Elegant pendant, ring and Earrings set made of 10.5-13mm white flat cultured freshwater pearls and zircons. 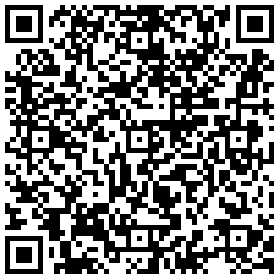 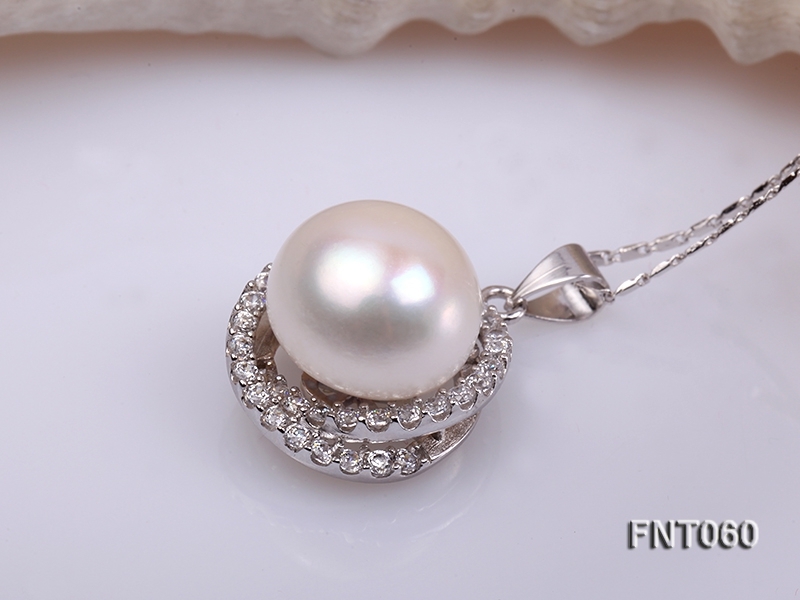 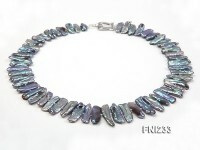 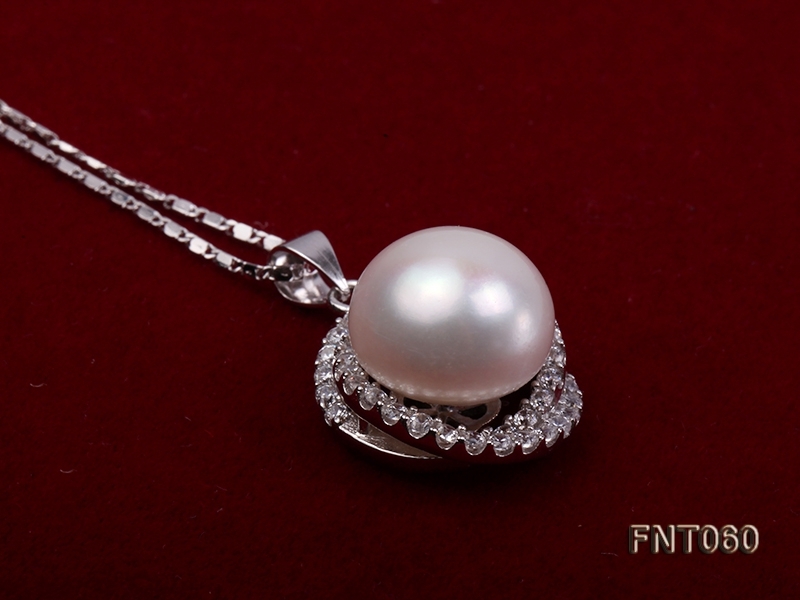 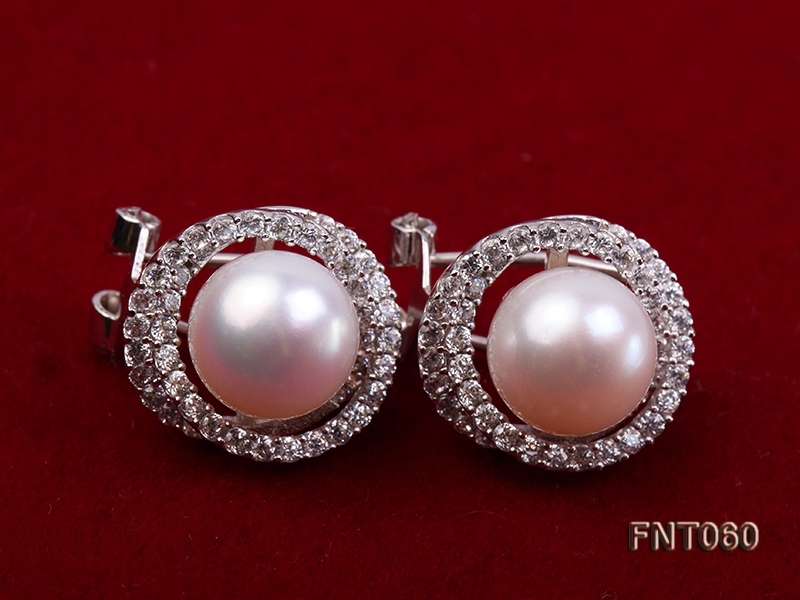 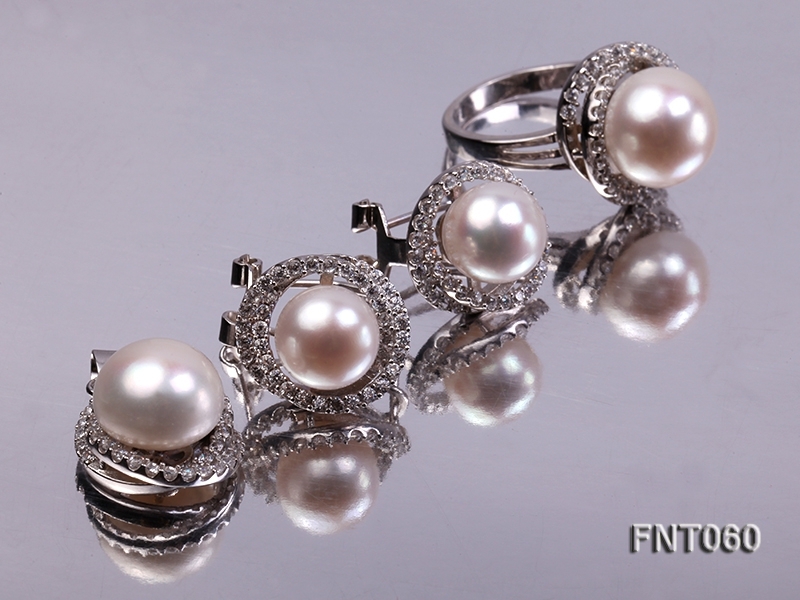 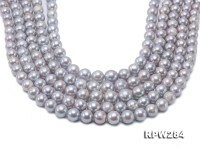 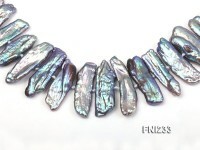 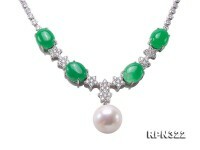 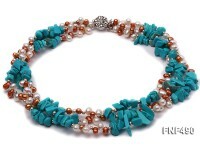 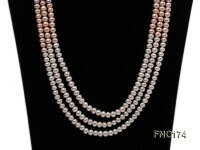 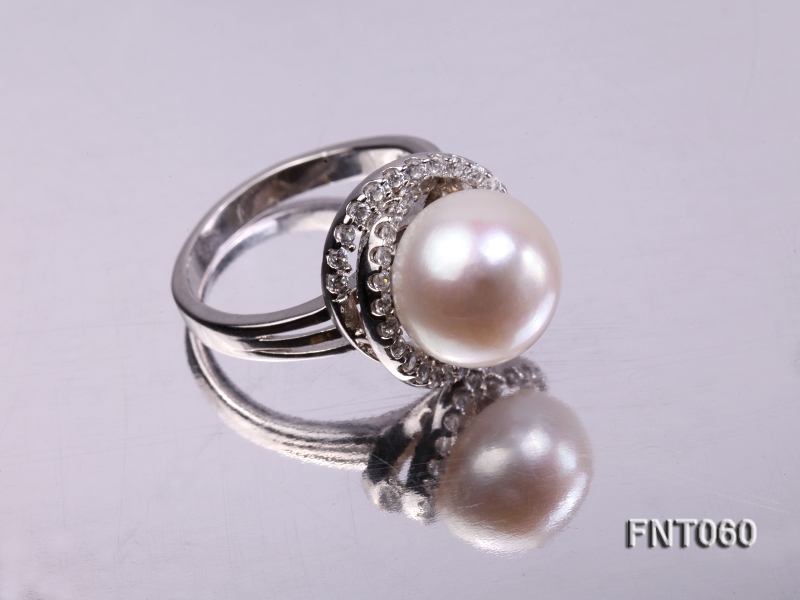 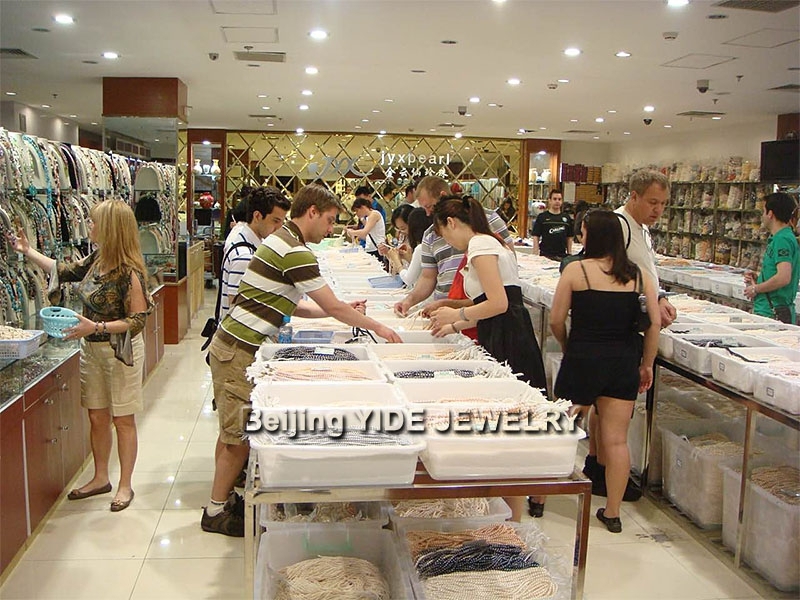 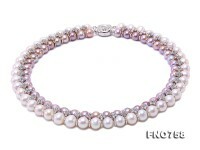 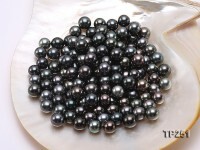 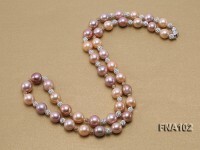 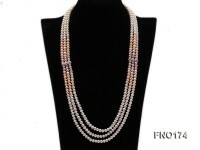 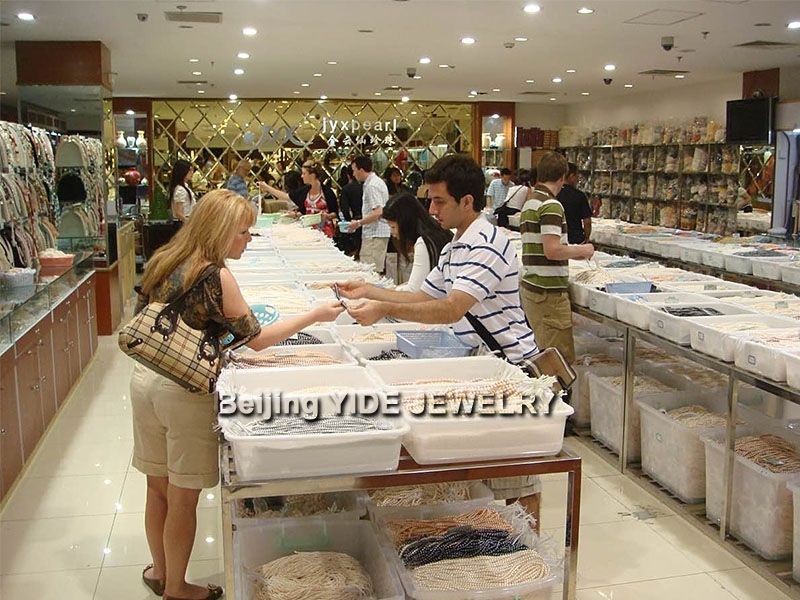 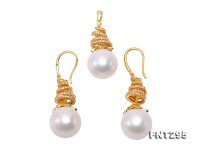 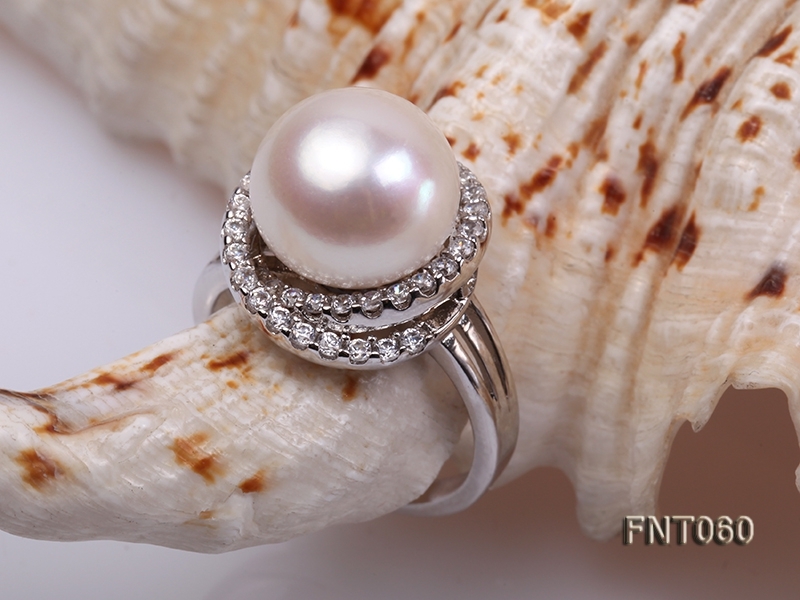 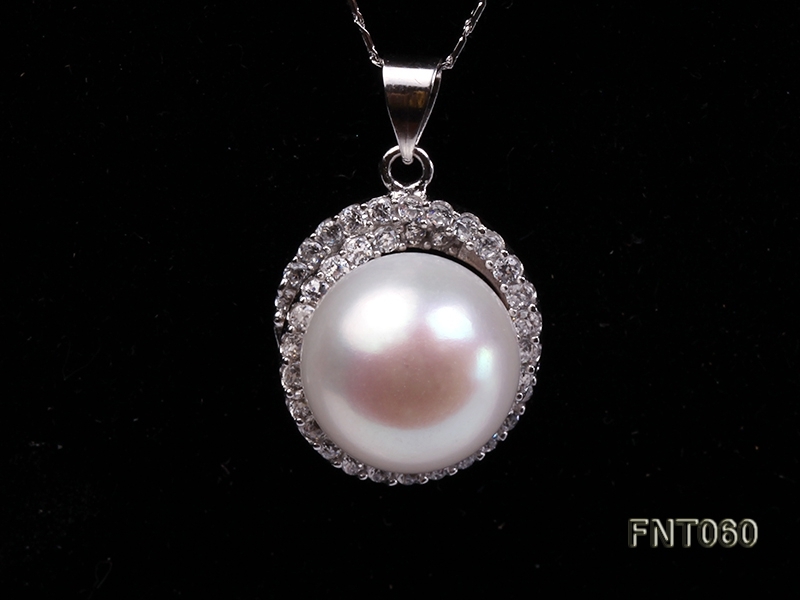 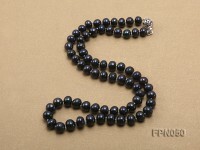 The pearls are very smooth and lustrous with very few blemishes. 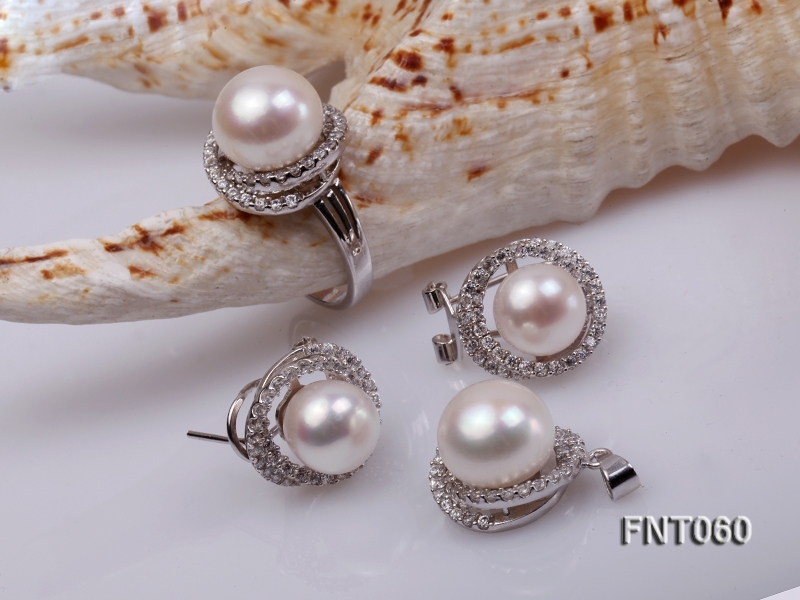 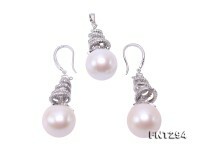 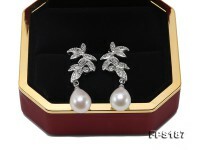 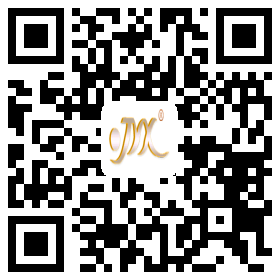 This jewelry set can let out your elegance and grace.